network around the world in which to feel comfortable. 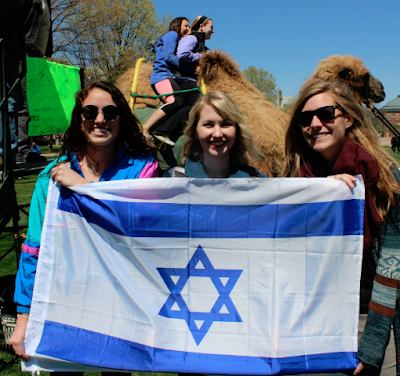 When I began my sophomore year of college at the University of Illinois Urbana-Champaign, there was nothing more exciting than signing up for the annual Birthright Israel trip. My spirit was dampened, however, when I learned to my dismay that my boyfriend, Jared Neuhausen, and I were placed on the U of I Chabad trip instead of on one of the many other Birthright options that we were hoping for. I didn’t know what Chabad was, or who Rabbi Dovid & Goldie Tiechtel were, but I knew that this was supposed to be my trip to break free from the Chicago Jewish circle that I was raised in, and to meet new people from across the US. I worried that a trip with Chabad wouldn’t offer me the new experiences I was looking for. I definitely could not have predicted the effect that the Birthright Israel: Mayanot trip in 2009, would have on Jared and I, and that I would be mentioning that very trip at our wedding seven years later, with Rabbi Dovid laughing in the audience. Not only was that trip a great introduction to a new way of living Jewish life on campus, it was the first of many experiences with Chabad that has weaved itself through our young adult lives and helped us develop into the strong Jewish couple that we are today. Just last month, an independent study of Chabad on Campus found that participation at Chabad while at college significantly increases participation in Jewish life after graduation. Jared and I can personally attest to this, and can attest to having seen this happen to dozens of other young Jews. The study, commissioned by the Hertog Foundation and conducted by leading sociologists, surveyed and interviewed 2,400 students and validated much of what I already knew about Chabad. One of the key findings was that 88% of the students who participate at Chabad, like myself, do not come from an Orthodox background. This holds true for us as we both were raised in conservative Northshore Chicago homes, with family Shabbats and weekly services. I’ve had the opportunity to experience Chabad on campus as both a student leader as well as an observing adult, after returning to the University of Illinois for my master’s degree. I would describe much of Rabbi Dovid and Goldie’s success as stemming from their ability to relate to the students so well. The rabbi is a Facebook master, and he Instagrams and Snapchats. He visits fraternity houses, and lets them ask whatever questions they want. But when they’re not throwing high fives and sending texts, Dovid and Goldie also act as your Jewish parents right in the middle of campus. When you’re ill, you can count on hot matza ball soup, delivered. When you’re homesick, you can count on a traditional home-cooked meal nearly every night of the week, and five children pulling you in every direction making you forget you’re on a college campus. For me, it was at my most vulnerable moments that I needed a heartfelt reminder that as a Jew, you stay strong and repair the world with goodness, light, and compassion. 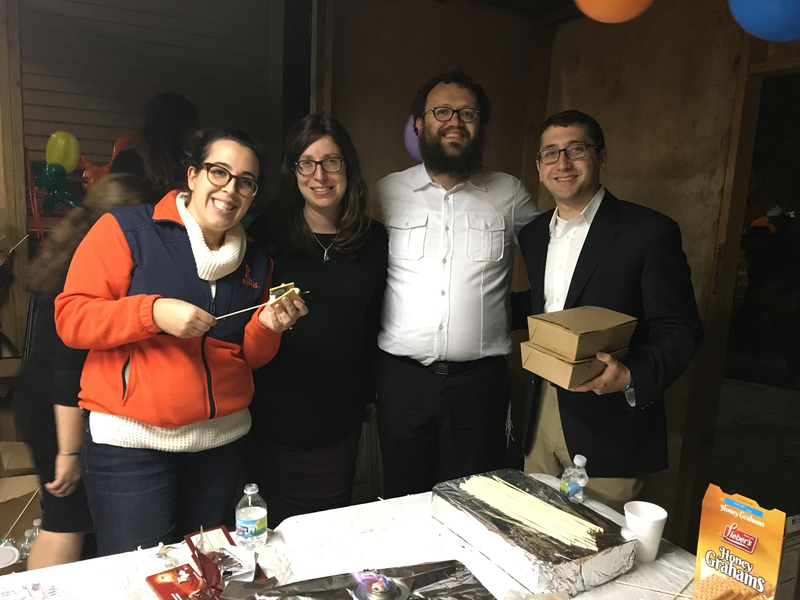 My husband and I lost a family member during our undergraduate tenure, and Rabbi Dovid and Goldie played an active role in helping us cope with the loss. This included picking me up from class one day when my stress turned into a full-blown panic attack. The rabbi even drove up to Chicago several times to make house calls to both our families, and did the same for many of our friends as well when they were in similar circumstances. 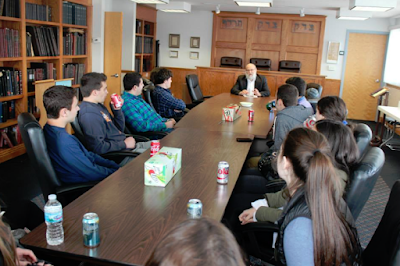 The study’s report says that out of the 2,400 alumni that were surveyed, the most frequently used word to describe Chabad was “welcoming.” This sort of judgment-free atmosphere opens a host of opportunities for young adults to begin exploring their lives and opportunities, including determining whom they marry, what they study, and how to handle life’s challenges. As the survey indicates, Chabad didn’t stop on campus for us, but it introduced us to an entire network around the world in which to feel comfortable. My husband and I love to travel, and as Jews, we feel better knowing that we have a safe haven wherever we go. All it took was one phone call from Rabbi Dovid, and we were connected to a network of families that hosted us overnight for amazing meals and holiday celebrations. I stayed with the Chabad family in Costa Rica while I studied abroad my junior year, while my husband visited the Chabad in Rio de Janeiro. Together, we visited Chabad in Panama for Passover, and spent Hanukkah with the Chabad in the Dominican Republic. Likewise, as our lives took us to central Chicago, we continue today to be active with our local Chabad house, and feel well-educated on maintaining a Jewish home. This is our story, but it is one of thousands being written around the country. A Birthright trip that was supposed to offer us new experiences gave us that and so much more. Our lives were changed in so many ways from that one trip and from meeting Chabad. While this study has proven the success of Chabad as an organization and in general, for me it is personal. Chabad has offered me a home, a lifestyle, and connection to something so much bigger than myself. Rachel Neuhausen is currently pursuing her MBA at the University of Illinois in Urbana-Champaign. Before returning to school, Rachel worked as a management consultant for Booz Allen Hamilton, and held a presidential appointment with the Obama administration in Washington. Rachel lives in Chicago with her husband, Jared, and their dog, Pearl.